Congratulations, you made it through the first two weeks of the year! How’s everyone doing? My favourite thing about January is that motivated feeling I get knowing I have new goals and achievements to work towards! I’ve definitely gotten carried away in the past and written an impractical list as long as my arm, and then reaching December having barley achieved a single thing that was on the list! A year is really much shorter than I seem to think! Anyways, this year I think I’ve managed to keep them a tad more realistic , so although we’re already half way through January, I thought I’d share them with you anyways! …with a 2:1 preferably (by the grace of God)! At long last I’ve reached the the last semester of my final year at uni, and I’m really hoping and praying that all the hard work I’ll be putting in these next couple of months will actually pay off (as that hasn’t always been the case for me)! Uni has been quite the rollercoaster experience itself, which I’ll hopefully be sharing in some blog posts later on this year! Early mornings always make my day feel super productive and that’s a feeling that I absolutely love! Annoyingly I only ever seem to be able to manage this for a couple of days before I redevelop a love hate relationship with my snooze button. It takes 21 days to break a habit, so let’s see how I get on – I really want it to become a natural part of my daily lifestyle! Yes, Yes I know! 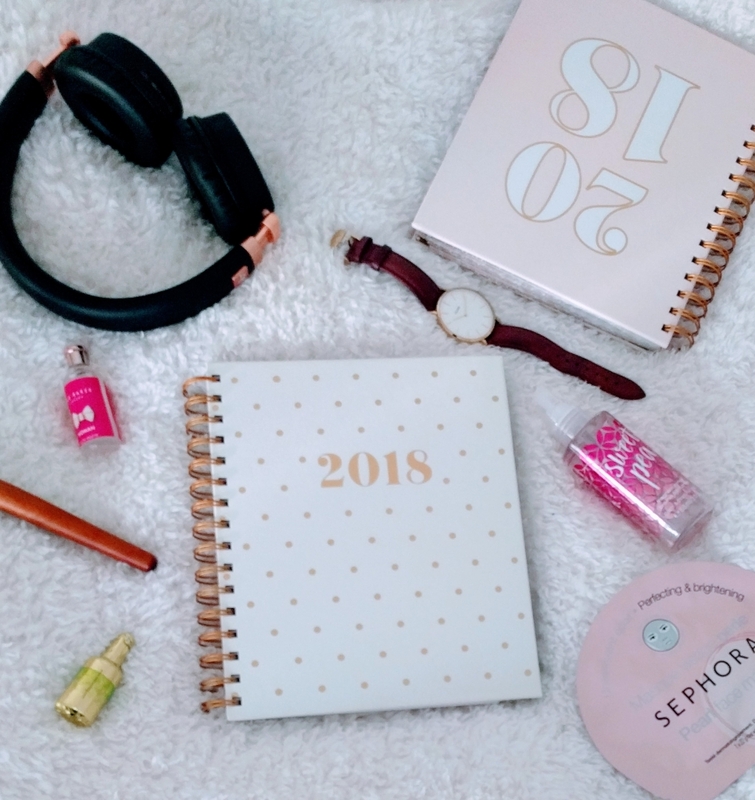 Last year summer I set myself a challenge to do this more (read about it here), and I ended up going to one event, during which I unfortunately ended up going into my little anxious shell, and it was just a big fat fail! Although that initially put me off, it’s made me want to force myself to do it even more until it becomes second nature to me! This is something I’ve been working on for awhile and wanted to have set up by now , but things take longer than expected and alongside my stressful degree, I realised I needed to push things back. This year should be the year, so watch this space! Every time I say this , it ends tragically and I go incognito for months on end. I’m not setting myself a crazy target, but I’m hoping to post at least twice a month (excluding exam season) and hopefully more once I’ve graduated. I genuinely don’t think I’ve read a single book from start to finish for about two years – How ridiculous is that? I actually used love reading so it’s a real shame I’ve stopped finding the time for it! This year I want to read more and watch youtube/TV/movies much less! What goals or resolutions have you set yourself for this year? Let me know in the comments, I’d love to hear! I can totally relate on the feeling anxious note, I’ve been trying to shove myself into more social situations in groups etc as well. Like you, I really want it all to just feel like second nature to me. I don’t want to have to think about it all so much.